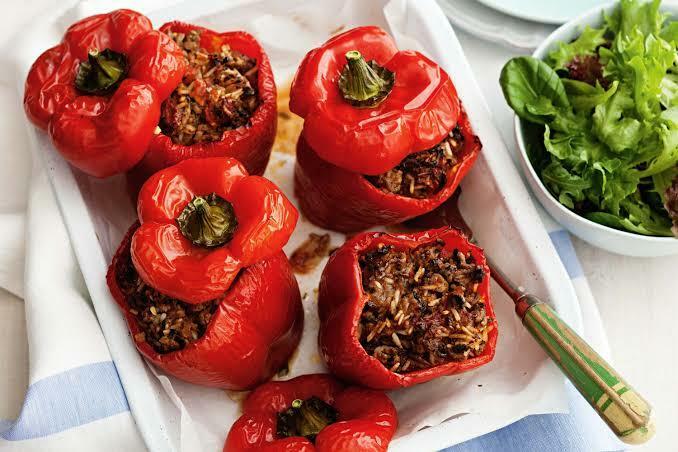 Do you like stuffed capsicum/bell pepper? I cook that, but with ground beef and chopped potatoes. Do you drink tea or tisanes in the evening? ❤️ What do you think of my Snickerdoodles and Oatmeal Apple Cobbler muffins? Who wants to eat this pizza with me? Do you like fettuccine Alfredo? What was the first alcoholic beverage you've ever drank? Yes they are good stuffed. 10 Music Artists/Bands Have Taken Over My Playlist How to Increase Your Overall MHO Percentage on GAG (Second Edition) Relationship Advice Everyone Needs To Know! Tattoos and why I am so tempted to get one or more, let's begin shall we! :) What It's Really Like to Be an "Ugly Woman"
Home > Food & Beverage > Do you like stuffed capsicum/bell pepper?